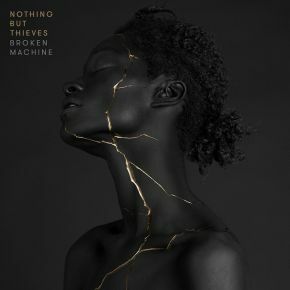 After a hugely successful debut album, Nothing But Thieves are back with their highly anticipated second album, ‘Broken Machine’. With their unique album reveal, combined with the hugely successful festival tour, the release of the album cannot come soon enough. To reveal the album, the boys released a highly successful social media campaign in which the fans had to try to crack the code to a ‘Broken Machine’ before having the title track revealed. Not only was the title track revealed, but it also released a locked Spotify playlist which had a quirky track of snippets of the up and coming singles from the new album. The Nothing But Thieves boys prove once more, they are truly all for their fans. The first single from the album, ‘Amsterdam’ highlights a realisation of who your true friends are in life. The hard-hitting lyrics, joined with a rock-dance tempo shows just how talented the boys are at creating hits. The catchy chorus makes you want to just get up and dance and sing along too. The second single comes as an apology to a lost lover for drinking too much, ‘for being defective’, ‘for being dumb’. Once again the boys strike gold with this rock style ballad. Most of their fans will relate to ‘Sorry’ in one way or another and, like with every Nothing But Thieves song, you just want to sing along and can feel the emotion from Connor when he sings. Third comes ‘I’m Not Made By Design’ – a song recognising solely by the title, that nobody is perfect. The song talks about loving a woman in the sky, whilst everyone below is lesser than her, but they’re ‘not made by design’ and that, ultimately nobody is made by design. Straight away from the title, Nothing But Thieves shouts to their teenage fans that it is ok to not be perfect, because we all aren’t perfect. Just what a lot of the teenagers in today’s society needs. Then Nothing But Thieves dropped the title track. A song detailing a different spin on growing old, where all your parts start to break but that you should never give you up on life and that you can still ‘dream’ you are better and you can do more than you can. The album is now available for purchase and downloading or streaming, and judging by the singles from the album so far, it is set to be an extremely popular choice amongst fans and new listeners alike. Stay tuned for more hits from the Nothing But Thieves boys.